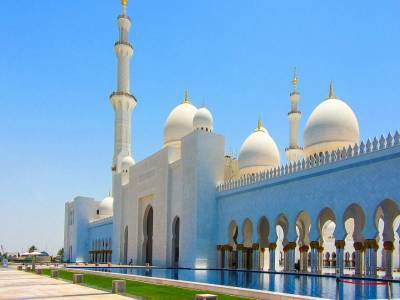 The Sheikh Zayed Grand Mosque in Abu Dhabi is one of wonders of the modern world and is one of the largest and one of the most majestic mosques in the world. 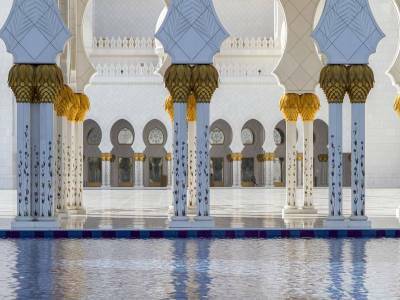 The Sheikh Zayed Grand Mosque, built to commemorate the memories of the late UAE president Sheikh Zayed Bin Sultan Al Nahyan, the project was launched by the government and the constructions continued from the year 1996 to 2007 following the design and architecture of renowned architect from Syria, Yousef Abdelky. 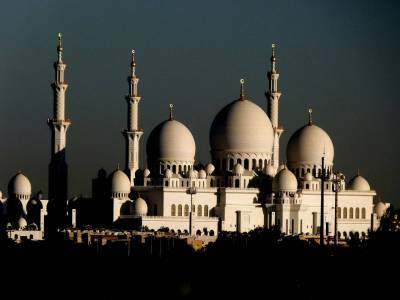 The mosque is first of its kind being the only one to allow everyone from any religion to freely enter the mosque to promote the aspect of international brotherhood. The true style of Islamic cultural diversity is applied to build the mosque on a ground spread over hectares of land. The architectural class of art and sculpture is on a level apart. The tombs, domes, gardens, minarets, towers, corridors, fountains and water bodies are built with refined sense of Persian, Alexandrian, Egyptian and Indo-Mughal Islamic arts. The main attraction of the mosque is the world's largest woven woollen carpet, pearl laden pillars and the world's biggest chandelier of the prayer hall, gold gilded set of chandeliers all over the mosque, 1000 white pillars, the mirror water corridor, the sunset bridge, beautiful gardens, a grand multilingual library and the tomb of the namesake president, Sheikh Zayed. 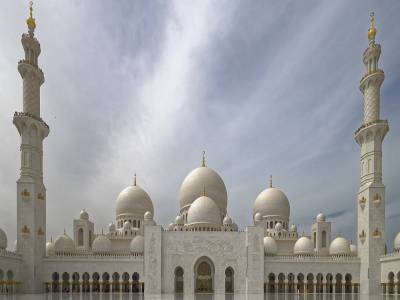 The Sheikh Zayed Mosque is a great tourism destination for reliving the wonder of human culture of diverse Islamic source in order to solace oneself with sense of aesthetic and brotherhood. 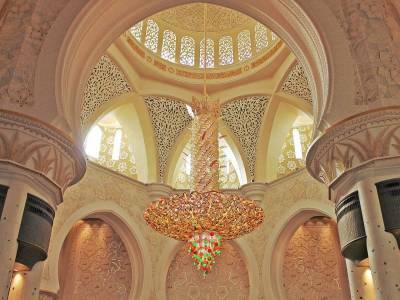 Get quick answers from travelers who visit to Sheikh Zayed Grand Mosque.